Update: this review refers to pre-production models. For a test of the final retail versions with the latest speedlights, go here. OK, just to lay things out, I’m Rick Bradbury, a portrait and event photographer based in Stockport. Generally I shoot with manual triggers and am not a fan of TTL. That said, I have been evaluating if TTL triggers that were HSS capable would be of interest or use to me. 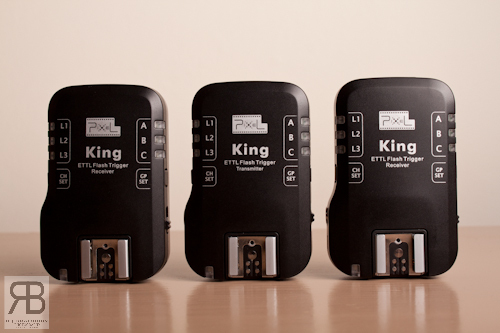 Just a quick overview of the features: the Pixel Kings are a wireless trigger with full E-TTL capabilities, High Speed Sync (HSS), groups, ratios and wireless control of speedlites (only EX II speedlites benefit from all features). They work with both EX and EXII generation of speedlites but with varying amounts of control from the camera. Gear I had on hand during the testing of the triggers was: Canon EOS 500D (a.k.a. Digital Rebel T1i, Kiss X3), Canon EOS 7D, Cactus V4 manual triggers, Canon 430EX, Canon 430EX II, Yongnuo YN460. Sadly I could neither get hold of nor afford (who can?) a 580EX II. I have to admit I usually run with manual only triggers (Cactus V4), and have never been a big fan of TTL. Now I recognise it has its place but I’m not a fan of its inconsistency during preset studio or location work that’s not a dynamic, changing environment. On first opening the box I was surprised about how large these units were, particularly in comparison to my Cactus V4s. You have a power switch on the right hand side (a feature needed on the V4s) and two other buttons to change channels and groups. Overall this give the triggers a simplistic look, but we all know there is more going on inside. One thing to note is that I could not find a test button nor a combination of buttons that would test fire the triggers. Now this could be the fact they were pre-production versions or they don’t have one, which to be honest I find a little strange. At this stage in the review I also want to mention that I had to position the transmitter in a certain way for it to work on my Canon EOS 500D and I’m not sure if it’s a fault with the transmitter or my hot shoe. The transmitter did however work on a Canon EOS 7D, no problem. Also I noticed that the hot shoe connection plate on the transmitter seems to be considerably shorter than my Canon 430EX II – which works fine every time. It will be interesting to hear other people’s experiences with this. Seem fairly solid and like they would sort of take an impact if dropped, the cold shoes on the Kings look like they can be replaced if damaged due to a seemingly modular design (don’t worry David / Pixel: I didn’t take them apart!). The weakest point in the design is the battery compartment door which is frankly absolutely crap; it’s far too easy to accidentally knock it open or for the door to fall off. I don’t have any pocket wizards to compare build to but the Kings do seem more substantial than the Cactus V4s. 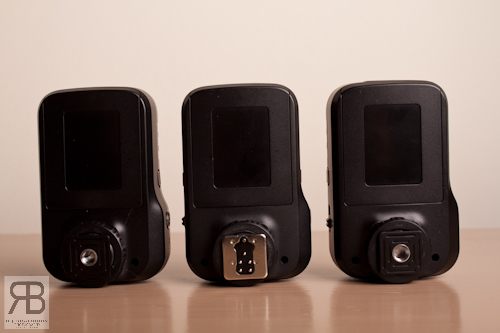 The Pixel Kings are full of features, including HSS and remote control of the EXII generation of speedlites. I must admit I found the latter useful when my 430EX II was inside a Westcott 28” Apollo. 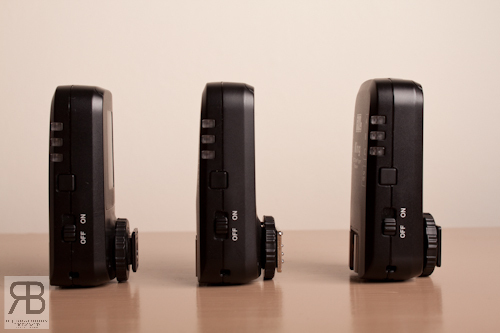 HSS (High Speed Sync) – Worked great with either EX or EX II speedlites, no problems. It’s nice to be able to go beyond sync, but its not for me because it robs power and limits you when using modifiers unless you have multiple speedlites. I can confirm it works fine with no problems, but personally will stick to my 600Ws Lencarta Safari. 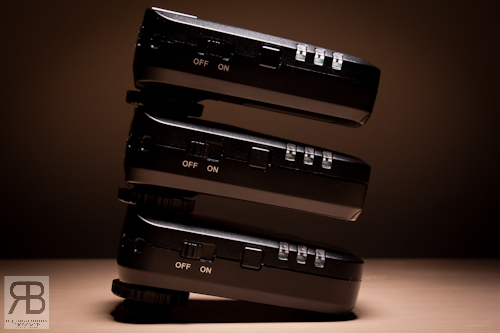 Control of flash power and modes – This is a nice feature when you have remote speedlites or nearby speedlites in modifiers. With an EX II generation speedlite it works great: full control of modes and flash power from camera. Downside? It only works with EXII speedlites. Older EX speedlites are not supported, meaning you lose that benefit. So if you a user of a bunch of older EX lights it may be a deal killer, as upgrading those lights to EX II spec would need a remortgage! PC Sync port – OK, they have a sync port, but I am left wondering: why not use a better standard? 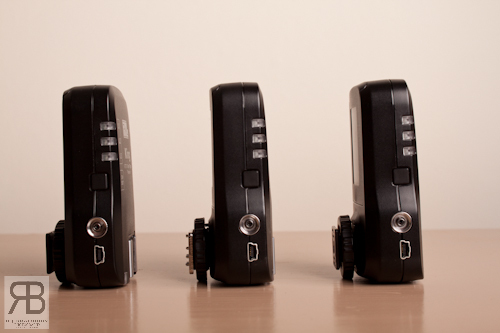 After all, PocketWizards use a 3.5mm jack, as do Cactus V4s, V5s and a whole host of other triggers. Mini USB – This will allow for firmware updates. I am also wondering if it will allow computer based programming of the trigger to change the default start up mode. Power Button – OK, what you mentioning that for, I hear you ask? Well, I am missing this rather simple feature on my Cactus V4s, and I want a power switch so I don’t have to break away from my subject/composition to remove the transmitter when switching to ambient-light-only shooting. The Pixel Kings claim to have a 100m+ range, and I am happy to say I can confirm this. As seen in the video I had a friend walk to various points on a field to see if the triggers would falter on range: nope, fired every time. A very impressive range, and to be honest way beyond what I will need in the bulk of my work. In fact I have never needed to use my Cactus V4s beyond their stated 30m range yet. Lets not forget the Kings also eliminate the line-of-sight restriction associated with using a Canon 60D, 7D ST-E2 or 580EX II as an infrared or optical master. The Kings were able to trigger the lights anywhere while the infrared system of the 7D failed. Fiddly connection of transmitter on my 500D’s hot shoe. I will be really interested to hear if anyone else has a similar issue. Crap battery door: what more can I say? My main peeve was that the triggers always defaulted to TTL HSS mode when fired up. I hope this can be changed in the final release, as frankly I found it annoying, being a manual-only guy. Expected to be cheaper than PocketWizards or RadioPoppers, though price is TBA. OK, I’m impressed. Great range, HSS works, and TTL works… but build quality is not quite up to par, in particular the battery door. Will they be worth the investment? Well, that depends on how and what you shoot, whether you shoot TTL (I don’t) and what gear you have. If you have an older camera body, say a 30D, forget it. All old EX speedlites? Yes, it will work, but you lose out on some of the features that you paid for. For me, running with a 430EX II and two YN460s, the Kings don’t offer anything. HSS is limited with the power of one 430EX II being run in modifiers, and with how close I am generally to my lights it’s no issue walking over to them to change power. I look forward to reading other people reviews/thoughts on the Kings and am curious about the price when compared to a PocketWizard or RadioPopper setup. No price or release date has yet been announced for the Pixel Kings. Keep an eye on official Pixel store and other retailers. More information on Pixel products may be found on the manufacturer’s web site.